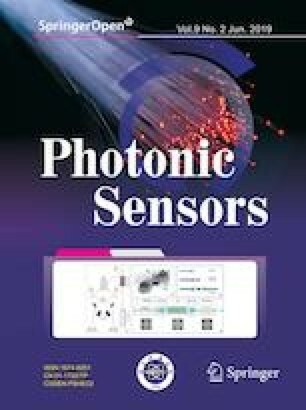 Multi-component and multi-point trace gas sensing in the wavelength modulation spectroscopy is demonstrated based on the frequency-division multiplexing and time-division multiplexing technology. A reference photodetector is connected in series with a reference gas cell with the constant concentration to measure the second-harmonics peak of the components for wavelength stabilization in real time. The central wavelengths of the distributed feedback lasers are locked to the target gas absorption centers by the reference second-harmonics signal using a digital proportional-integral-derivative controller. The distributed feedback lasers with different wavelengths and modulation frequencies are injected into the gas cell to achieve multi-components gas measurement by the frequency-division multiplexing technology. In addition, multi-point trace gas sensing is achieved by the time-division multiplexing technology using a photoswitch and a relay unit. We use this scheme to detect methane (CH4) at 1650.9 nm and water vapor (H2O) at 1368.597 nm as a proof of principle with the gas cell path length of 10 cm. The minimum detection limits achieved for H2O and CH4 are 1.13 ppm and 11.85 ppm respectively, with three-point gas cell measurement; thus 10.5-fold and 10.1-fold improvements are achieved in comparison with the traditional wavelength modulation spectroscopy. Meanwhile, their excellent R-square values reach 0.9983 and 0.99564 for the concentration ranges of 500 ppm to 2000 ppm and 800 ppm to 2700 ppm, respectively. This work was supported by the Research Fund for the Doctoral Program of Liao Cheng University (Grant No. 318051543) and the National Natural Science Foundation of China (Grant No. 61475085).